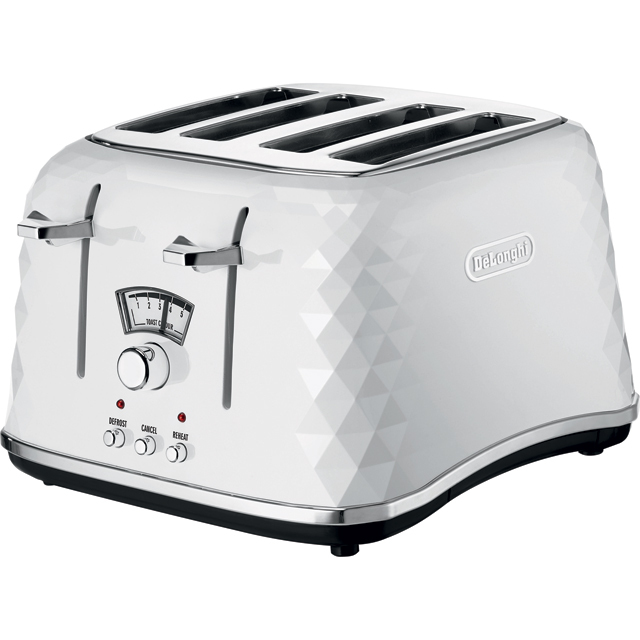 Make a stylish addition to your kitchen with this chrome 4 slice toaster from De’Longhi. 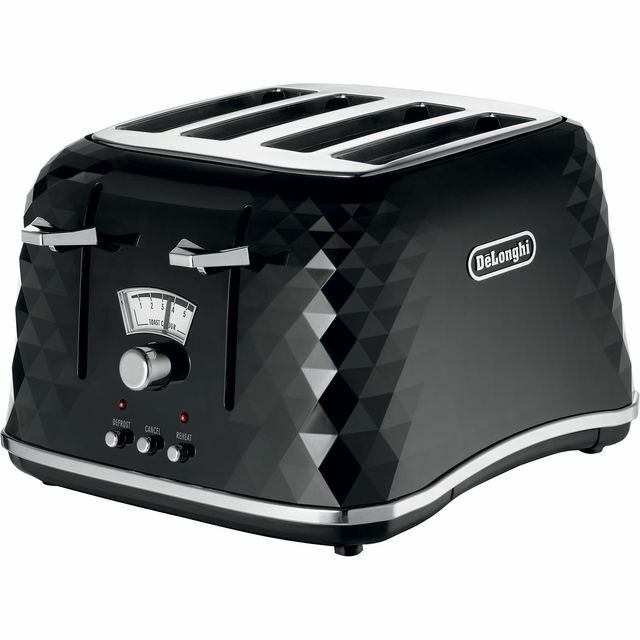 It has a really handy high lift function, which is perfect for safely reaching smaller items like crumpets and muffins. You don't need to worry if you run out of fresh bread, as the defrost function will quickly thaw out those spare frozen slices. And, when you forget about your breakfast in the morning rush, the reheat setting warms up your toast again without browning it further. There’s even a bun warming rack, so you can heat your rolls – perfect for a delicious burger. 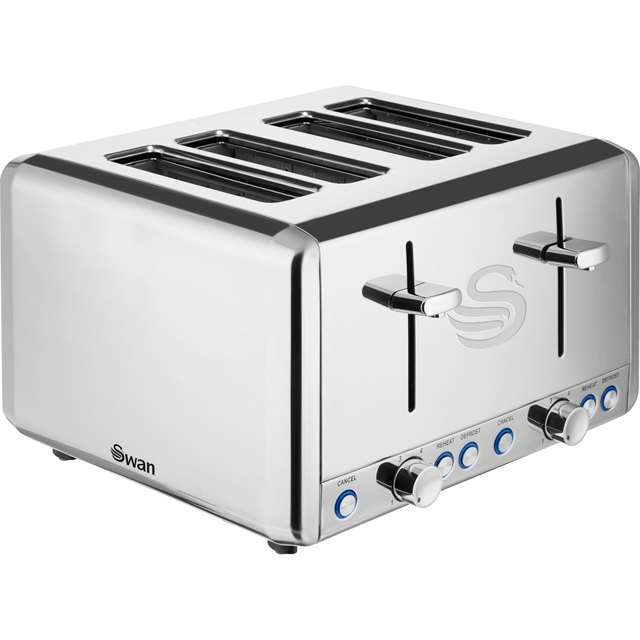 This is a great toaster and also adds a touch of class to your kitchen. I liked it that much I bought the matching kettle to complete the look. Both items stylish and very easy to use with clear operation instructions. Definitely a must for a modern kitchen. 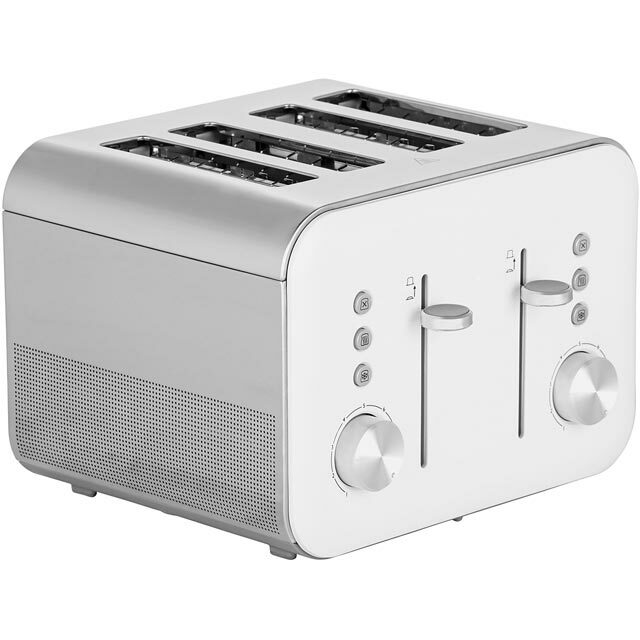 I ordered this toaster from AO never used them before so was abit worried about it but the service was amazing they delivered it so quickly anf the toaster it self is everything youd want from a toaster and it was very affordable would defo use AO again! Used this toaster for about a week. toasts evenly but better if turned round half way through. The control knobs are quite loose and easily accidentally adjusted. I didn't know that toast tasted different from different make toasters. Our last "cheap one" a from a food super market left the toast soggy but with the De'longhi Argento the toast as a lovely crisp texture. 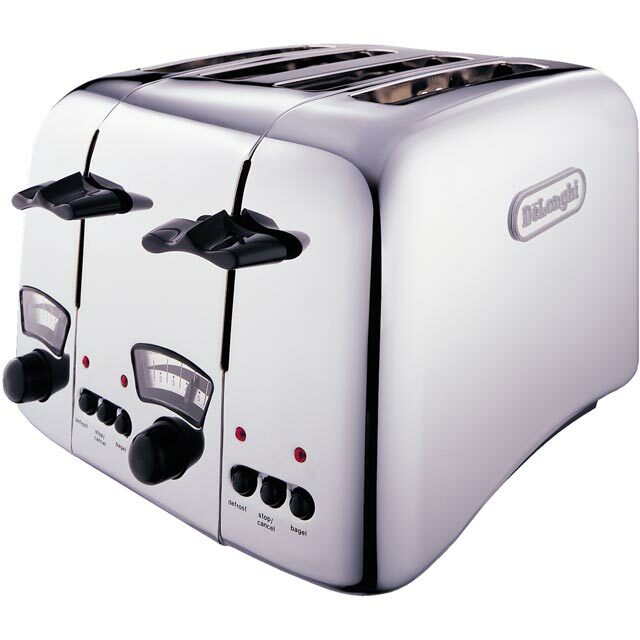 GREAT TOASTER.